October 30, 2014. With the courtroom cleared, except for family members and jury, Jodi takes the stand. Willmott walks her through some initial questions to establish she acknowledges her killing of Travis. Jodi also acknowledges she willfully lied to cover up the crime. This is her moment with a brand new jury. Whatever she says here can, and should, have more impact than any other mitigation witness. Willmott is guiding her to a place where Jodi has the opportunity to express her remorse about the murder of Travis. The jury has been instructed that they must accept this was a premeditated murder. So as much as Jodi wants to claim there was a domestic dispute leading to self defense that day, the jury must accept that premeditation occurred, not self defense. Is anybody really surprised that Jodi again – knowing that she is convicted – falls flat on her face when it comes to the issue of remorse? Willmott: You were present this morning when Miss Sorenson and Mr. Alexander spoke to the Jury, weren’t you? Willmott: And did you listen to what they had to say? Willmott: What do you think of when you hear what they had to say? Jodi: I think that when I hear that, if I could do… I wish so badly that I could just take that away from them, and that I could reverse what I did, and that I could take away what all these people are feeling that I have hurt including Travis. She hems and haws badly but can’t seem to find her way to ever say the words that she wishes she never killed Travis and she’s sorry for what she did. Those words have never been spoken to this day, no matter how many times Willmott or Nurmi have led her to the edge of the water. It’s not semantics. She simply refuses to do it. Willmott: Why did you do that? Jodi: By the time I made the phone call, I realized that I had done something very bad. How? How did she realize that with no memory? Jodi: I couldn’t remember details, but I knew… I had a very heavy feeling, and I knew that I had done something very bad. So that phone call was the beginning of when I started to try to cover my tracks. Nobody orchestrates a cover-up when they have no idea what they are covering up! What if he was still alive? How the hell would she explain being there, trying to kill him, and then later leaving a cheery message for him if he was still alive? Remember – this is HER version of the story. She claimed she doesn’t know if he’s dead or alive, she just has a feeling. Her cover-up tactics don’t work, and don’t make sense, unless she knows that he’s dead. She almost trips herself up when she starts to say “I knew” and then quickly changes that to “I had a very heavy feeling”. Safe to say, this penalty phase jury is also not buying the fog. The focus in questioning shifts to Jodi’s family and childhood. But this time it’s not just about a wooden spoon. This time to gain any traction it would have to be about a whole lot more. Willmott: Did that hurt physically? Jodi: It hurt physically and it made me mad at her pretty bad. Willmott: And other than being mad, did it hurt you emotionally? Jodi: Yeah. It hurt me emotionally as well because she is my mom. She is this person in my life who has been loving and nurturing my whole life, and it wasn’t overnight; but she just began to get angrier and more sever in the way she disciplined us. I suppose this is where Jodi justifies her lousy behavior towards her mom over the years. And then she accuses her dad of screaming at them and using a belt as punishment. She even goes so far to explain how angry she was when they had to move homes a few different times. Willmott: Where did you go after Salinas? Jodi: We moved to Santa Maria California. Willmott: And in Santa Maria what grade were you going into? Jodi: I was going into the 6th grade. Carl was going into 5th grade. Willmott: Okay. Did you obviously have to start over at a new house… I mean, a new school? Willmott: And how was that going into a new school in 6th grade? Jodi: Well when my parents first announced we were moving, it was awful. I was very… I was very sad. I had lots of friends in Salinas, and it was scary going to a new school, people I didn’t know. This is what I don’t understand. Since when has mitigation been about a person’s entire life story? I feel like this is where Judge Stephens really fails the process. Every person on earth has a story. Mitigation is not intended to be the life and times of an accused murderer. Yes it is true that in death penalty cases the defendant is entitled to present any aspect of character they feel important but the court does have the ability to limit them based on the relevance of those aspects. I believe we have far exceeded that point considering the penalty phase has gone on longer than the initial trial. Willmott moves on to Jodi’s father and wants her to describe his attitude towards her mom. Willmott: What was happening between your mom and your dad at that time as far as your household is concerned? How was their relationship? What were you viewing? Jodi: Well, my dad was always… my dad could be very complimentary toward my mom and very loving toward her but on… at the same time he could also be very critical and say demeaning things towards her. Sound familiar? She’s creating a blueprint for her story about Travis’ abuse and why she never told anybody. Willmott: Did you see your dad do that towards your mom? Willmott: Did you see your dad demean her in front of you? Jodi: Yeah, he mostly would demean her about her weight. Willmott: Okay. Was that something that he used to pick on her about? Willmott: And what did you see as far as how your mom handled that? What did she do? Can we all guess what she does? Nothing. Of course. This is where Jodi learned it. This is how Jodi provides a justification to the court for doing nothing about Travis’ supposed abuse. Jodi: She normally just… she didn’t really say anything. She wouldn’t cower but she would just not say much. Willmott: Are your parents still married today? Willmott: And has your mom stayed loyal to your dad? Jodi: Yes, they are very loyal to each other. Willmott: Were you ever aware of your parents ever involved with drugs? Jodi: When I was 4. I have a distinct memory of going into my parents’ bedroom. I didn’t know what it was at the time. There was a mirror with white powder and a razor. So I realize now that was or what it probably was and also when I was 5, my uncle… my dad’s brother got married and my dad was in the wedding. I was in the wedding. He brought cocaine to the wedding as part of the party. Willmott: Other than that, did you have any other… did you know anything else about them using drugs? Jodi: I have learned since that my mom smoked pot on the day I was born prior to giving birth to me. She may have done it more throughout her pregnancy, but I’m not aware of that. Willmott: Is that something you more recently learned? Willmott: That was something she didn’t want to share with you before? Willmott: Is that something she didn’t share with you before? First, do we believe Jodi about this drug use? And do we believe that her Mom just recently told her about the pot smoking during her pregnancy? Of course, our primary instinct is no. We can’t believe anything she says. But let’s play along. If we do believe that, I can imagine how the conversation unfolded. The Arias family has been silent with the press so even though they’re sitting in that courtroom we truly don’t know what’s going on in their minds. We know they won’t testify on her behalf. But her Mom’s also been sitting there every day since the beginning of trial. She may staunchly support her daughter, or, she may be sitting there out of guilt. Or maybe even just interest. If Jodi and her mom did have this conversation about the pot use, I can imagine it being Sandy distraught at her daughter’s mental state. 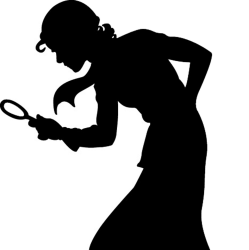 Searching for an explanation of how she ended up the way she did. Wondering if her pot use during pregnancy created this monster. Or… is it all just more lies. Jodi building a foundation for the possibility of mental issues impairing her judgement. Thanks, again, SO MUCH, Lisa for going down this road. I have had no idea what that secret testimony was all about. She lost me on her family stuff the minute she used getting smacked with the spoon. There’s nothing I’ve heard since then that changes that opinion for me. Her family life sounds fairly normal to me. When I was watching the trial, I was very surprised to learn that she had a fairly long, and from his account “normal” and loving relationship with that older guy – the one she met in the Big Sur. I assumed she hadn’t had any relationships before meeting Travis. Just jumping around from person to person acting crazy with every one of them. That doesn’t seem to have been true. She seemed to me to have always been shallow and immature but not off the rails until she met Travis. As with many crime cases, it’s as if two people had never crossed paths in their lives, individually each of them would have been fine but the combination was incendiary. Maybe she was already headed to the edge of the cliff and met Travis at the exact time she fell off it. And/or maybe she was nuts with the older guy and he didn’t see it or interpreted it differently. That guy seemed a little odd to me, himself. And then they got caught up in that house flipping idea and everything. I don’t know. Oh just wait… There’s a lot more to come! This is just a little piece. She was off the rails before Travis. I’ll be adding stuff about that as I make my way thru the testimony. Her relationship with Darryl was not normal & loads of evidence she hadn’t been normal to put it mildly for a long time. And how can it affect her when she does not know what it is! She says I realize now. And at 5, her Uncle brought cocaine to a wedding. She remembers that? How does a 5 year old know that information and remembers it? she’s a head case or wants us to perceive she is so she gets LWOP not the DP..she’s not as smart as she thinks she is ..she is a classic book case sociopath. Here is the thing. This is a MITIGATION phase. If I were in Jodi’s position – there is no way you could keep both of my parents off of the stand to do everything they could to save my life (Not matter how many people on social media or in the public gave them crap about it) – but Jodi has not had a SINGLE person. That is the part that speaks volumes to me about her and her evil soul. I think Arias did not want her parents to testify, because in her “secret testimony” she was throwing them under the bus. And by it being secret her parents did not know what she said about them. Since the release of her secret testimony, how could they possibly come forward in her defense. They would have to lie about themselves and most importantly face Juan’s cross-examination and Juan would use Det. Flores interviews with parents and expose Arias again in her lies. The only thing the parents could say is Jodi is not right in the head. The “secret testimony” now coming to light appears cloaked, you’d think Arias would be her best defense in mitigation – fail. Strike two. To me, it sounds more like her allocution, a slow regurgitation of non-facts, as they’re not related to premeditation as much as they’re relateable to an excuse for the heinous act of slaughtering Travis. I don’t see one question by Willmott leading Arias to speak of sincere remorse. That says to me there isn’t any reason for her to be sorry even though she’s capable of mimicking that response – because, after all, have pity, there are justifications for her actions – says the defense and Arias. They continued to lead her down the path she chose. Try as I might, I cannot fathom the defense team believed her about anything and if they did…strike three. I’ve often wondered why her defense didn’t forgo the obvious, lie after lie after lie…and advise their client at the onset to plea life, without chance for parole. Death, potentially, now looms at her door. It all seems in vain now – filing after filing for mistrial, prosecutorial misconduct and demands to remove the death penalty from the table, citations without clear and convincing facts in law with one motive at the forefront, the death penalty – it seems more on a personal level than where the law stands at this time in the state of Arizona. She was justifiably convicted. The death penalty, by the way, is on the ballot to be abolished in AZ, it will be voted on during the general elections this year. With the new governor, Ducey, it’s anyone’s guess whether somewhere down the road he would commute her sentence if she receives death. I don’t believe anything about Arias’ testimony regarding her parents and their “drug” preferences. In fact, when Flores did the interview with Arias’ father, I was taken by this one statement, which I’m paraphrasing; ‘she would yell at my wife.’ I saw that as her parents being united, not against Arias, but because of her behaviors. Especially her lying, deceptions, secrecy and tendency to violent outbursts. I agree completely with what you stated, that Arias “hadn’t been normal to put it mildly for a long time.” It’s anyone’s guess, but I’m thinking early childhood. I do have empathy for Arias’ family, though like a lot of dysfunctional environments, the results are the consequences that often play out in the worst possible scenarios. Listening to Arias’ mother during the interview with Flores, her disbelief in Arias’ behavior when she returned home said a lot. It does boggle the mind that Arias’ display was one of having had a good time – and the chilling interaction of their having gotten along better than they ever had before. I’m very interested in the information about Darryl!! I felt there was a lot more to that story than what he conveyed on the stand, a whole lot more. I actually feel there’s a lot more to each boyfriend as well…just a personal opinion, but I think Arias had something on each one that she held over their heads to use against them should she need to at any time. Could this possibly get any worse? I’m looking forward to your next half! 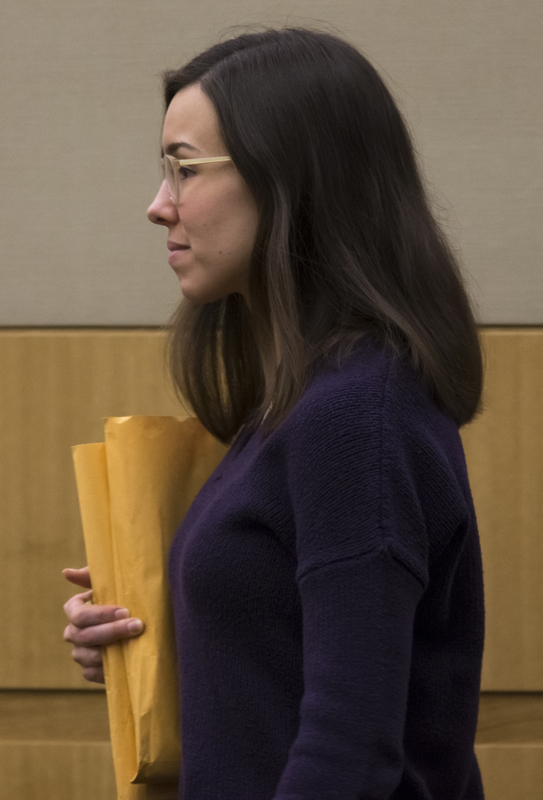 I’m also thinking about the allocution, whether Arias will take advantage of this… what I do find laughable is that Nurmi defends “mental illness” as reasoning for Arias not returning to the stand to testify…what are the jurors left with to imagine… that her allocution will somehow sound rational and sane? I think Nurmi chewed off the rest of his remaining foot. I have pondered the allocution as well. I’m still not clear on the reason why Arias needed to have a “secret testimony”. “WE” know it was so she could throw her parents under the bus, without them knowing. But what was her reason that JSS allowed her to do so? Whatever the reason was, I would think that her reason would stand with the allocution as well. If she can’t get testify in open court, how can she part take in the allocution that would be in open court. Dazzle them with BS – song and dance, that’s the summation I have for the defense. Granted, their client, at least to me, is a psychopath, that cannot be easy to work with, but, I think JSS did the right thing. Just an opinion, maybe when a judge reaches an impasse, the answer is better left to the higher courts. I’m certain JSS knew “secret testimony” by a defendant was not acceptable…but, Nurmi made Arias a “secret witness” as well. They claimed threats to her life as a reason and Arias’ absolute refusal to testify on her own behalf, as was her constitutional right to defend herself, would then be in jeopardy. “and the chilling interaction of their having gotten along better than they ever had before.”..because Jodi needed her mother as an ally during the trial, that is the only reason she was being nice for once in her miserable life. That is what is chilling – Arias’ mother had been fooled once again. There wasn’t anything genuine about Arias’ behavior toward her mother. That’s why her mother was so upset when speaking with Flores…she wondered what kind of person could do this and act like nothing had happened. That realization had to have been hard, as a mother, to wrap around her head…they got along better than ever after her daughter slaughtered Travis. Even more chilling…Arias’ mother will remain as a false ally to Jodi as long as she keeps her mouth shut. Every four year old notices cocaine, a mirror and razor, in her parents room, and just puts it together in her foggy mind, prior to sentencing. (Remember this is exactly what we saw on the coffee table in the photo of herself and and her boyfriend). How many fathers tell their 5 y/o child that they are bringing the cocaine to the wedding party? This is the most ludicrous story she has told, to date. Premeditation has nothing to do with her covering up the crime, afterwards, and everything to do with stealing a gun, renting a car, and driving 100 miles to murder someone. The warning given by JSS should have made it clear to the jury, that the cover-up was a continuation of her plan to murder him and get away with it, and proves that “in a fog”, she could not have continued to carry out her plan, which required a fully functioning mind. The jury has basically been warned that they are not to believe the self defense theory, yet the defense continues to push just that. Objection, your honor! Her stories are rediculous! She takes bits of other people’s stories and history. Pathological Kiera believe their own stories. There may be a tiny bit of truth to base the story. She hasn’t shown remorse because I believe deep down she’s not sorry. She thought she was going to get away with murder.!!! Previous PostPrevious What does Oscar have to do with Jodi?